As the “Ber” months approaches the season of giving is of course also upon us. The longest celebration of Christmas begins September in the Philippines. Taking the charge in the season of giving is ASUS as they launch their Holiday sale. 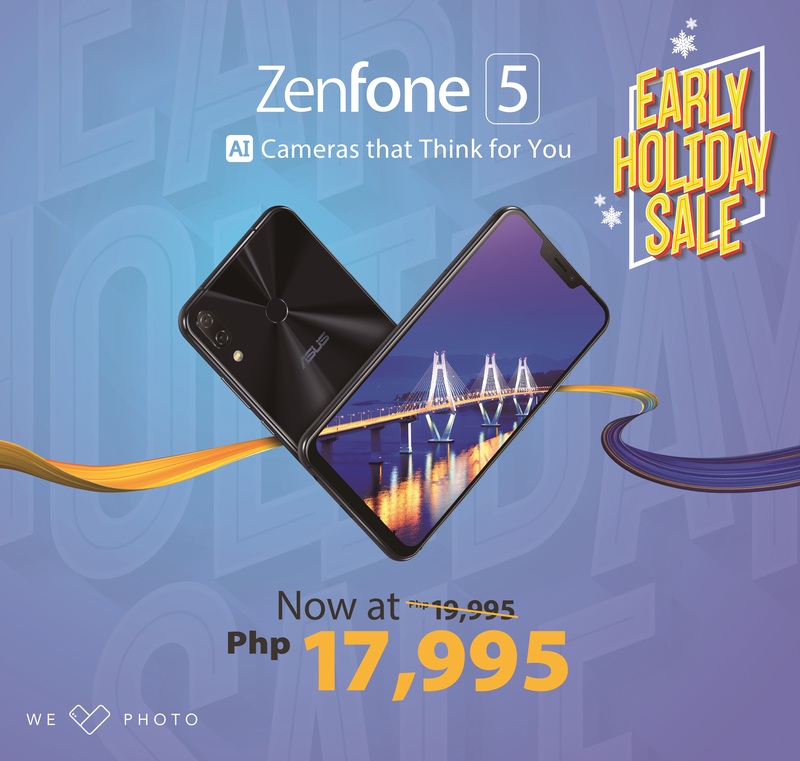 Now the most sought after Zenfone 5 with AI Powered cameras can be yours with a discounted price of P17,995.00. That’s not all however that ASUS is giving this season, you can get the Zenfone of your dreams for a really discounted price! Here’s the complete list of discounted Zenfone from ASUS. There is no need to wait for Christmas for you to have the Zenfone of your dreams! Get a head start and capture beautiful photos during the season of giving, avail of a Zenfone now!